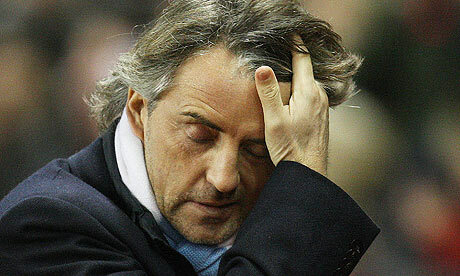 Roberto Mancini has been sacked by Manchester City ending days of speculation surrounding his position. If there is ever a sign of the fickle nature of a billionaire owner it is the fact that he has lost his job exactly one year after delivering the first title in 44 years to the blue half of Manchester. There had been rumours flying around before Saturday’s FA Cup final defeat to Wigan but it would appear that the disappointing performance was the last straw. Although the club have stated compassion as their reason for not waiting until the end of the season to dismiss the man that ended a 35-year trophy drought. “This has been a difficult decision for the owner, Chairman and Board to make and it is the outcome of a planned end of season review process that has been brought forward in light of recent speculation and out of respect for Roberto and his extensive contributions to the Football Club,” the statement read. The club have been clear that certain objectives had to be met and the only one achieved was qualification for next season’s Champions League. But while there can be no denying the season has been a disappointing one for a team that has taken hundreds of millions of pounds to assemble, it seems memories are very short at the City of Manchester stadium. Reports that the club were courting Malaga manager Manuel Pellegrini angered Mancini but he was disappointed by the lack of backing from the club on the matter, even blaming the uncertainty over his future for the lacklustre performance in the cup final. Reports have emerged that Manuel Pellegrini is set to turn down any approaches made by the Manchester club, but whoever takes over will have a huge fight on their hands if winning the league title doesn’t even buy a manager an extra season.